This past weekend I had the opportunity to watch the Super Bowl at an expat bar in Barcelona or go to one of the biggest Carnival celebrations in Europe. I chose to experience the Debauchery Parade in Sitges (I swear it's really called that). It's one of two of the biggest parades that happen throughout Mardi Gras week in Sitges and since this little beach town is known as one of the best party spots in Spain, I figured I'd be in for a great (long) night. I showed up in Sitges around 5PM, 3 hours before the parade was scheduled to begin, walked one block, and the girl in front of me leaned over, puked, and kept on walking. And so the night began. Around 6PM, hoards of people started piling off of the trains to crowd around the parade barricades. There were swans, clowns, jokers, devils, Where’s Waldos, and even a deck of Uno cards. I couldn't believe I didn't think to wear my penguin onesie. Rookie mistake. 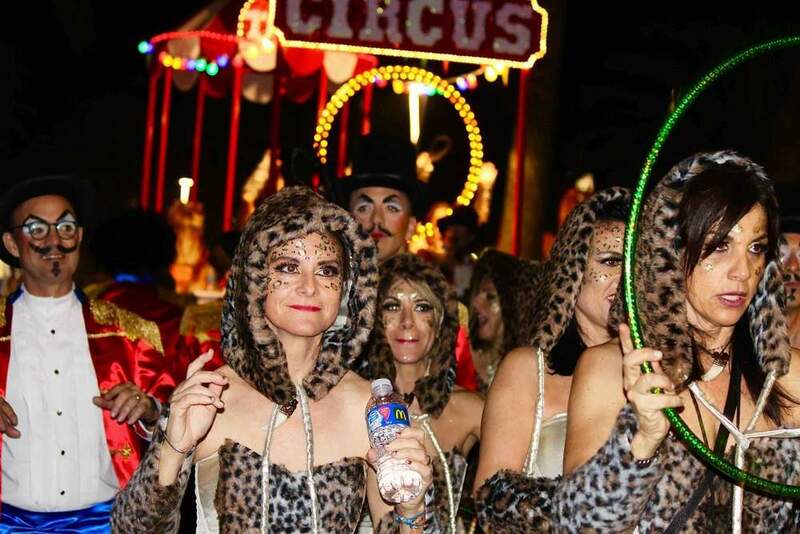 The parade runs a ~3km loop throughout Sitges, and though it begins around 8PM, it runs until well after midnight. People also pack in 10 rows deep in certain places, and sparsely in others, so it's perfectly acceptable to walk around until you're able to find a railing spot along the route. Alright, so the parade. Don't get me wrong, it was a ton of ton of fun, but I must say that compared to other catalan parades I’ve been to, I almost consider it “to be expected.” To be honest, the parade was everything you'd imagine for Mardi Gras. 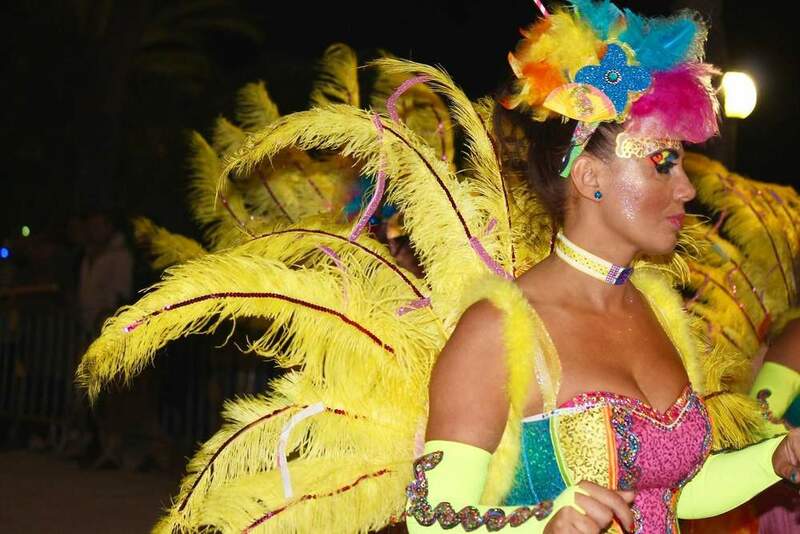 There were dancers, feathers, drummers, scantily clad ladies (or gentleman? ), intricate makeup, and loads of color. But I think the reason for my disappointment is, it’s Catalonia, I expected a surprise. I expected the Mardi Gras version of large gingerbread babies dancing with oversized metal pacifiers, but instead I got something I could find anywhere (or at least in New Orleans). One thing I did love was watching the performers walk to the back of their floats, open a small door, and come back with a drink and a cigarette. Classy. I guess it is called the Debauchery Parade. The performers were a ton of fun and they loved when the crowd cheered them on and danced along (remember, they're parading for over 4 hours!). And when the parade ends, they're just getting started. Anyone who wants to hang out with the performers at the after party, can head over to El Retiro to dance the rest of the night away. So, this year while I had to forgo eating guacamole, drinking beer, and sitting on the couch watching 4-hour of the best commercials ever produced, I'd say it was worth it. 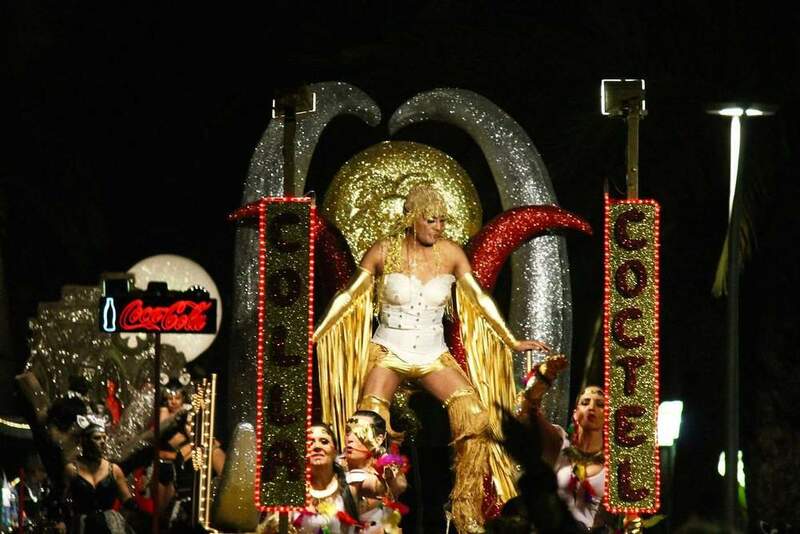 If you want to know more about Carnival in Sitges or other events throughout the year, check out the gay Sitges calendar or the official Sitges site.